Fredbennett is a leader in the world of contemporary jewellery for modern men, making pendants, earrings, chains and bracelets to die for. 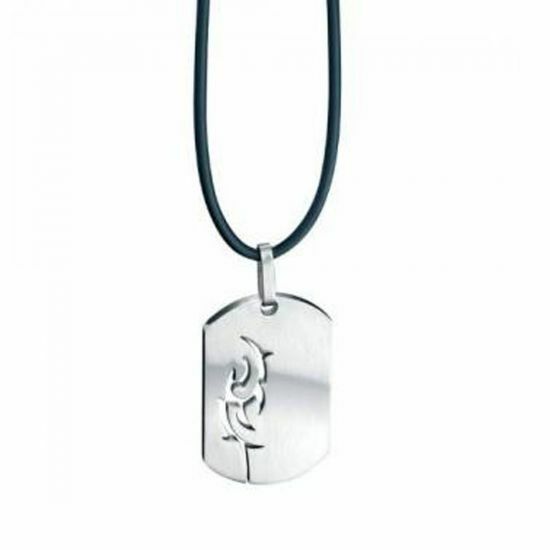 Like this unique Stainless Steel Dog Tag Pendant which hangs on a contrasting black rubber cord. Understated, yet cool, it would go perfectly with the Fred Bennett Black Leather & Silver Bracelet. Voted 'Best Jewellery Brand of the Year 2004'. A stunning collection exclusively designed and unique to the brand name 'Fred Bennett' as seen in FHM and GQ magazines. All the jewellery is supplied in stylish & luxurious packaging.